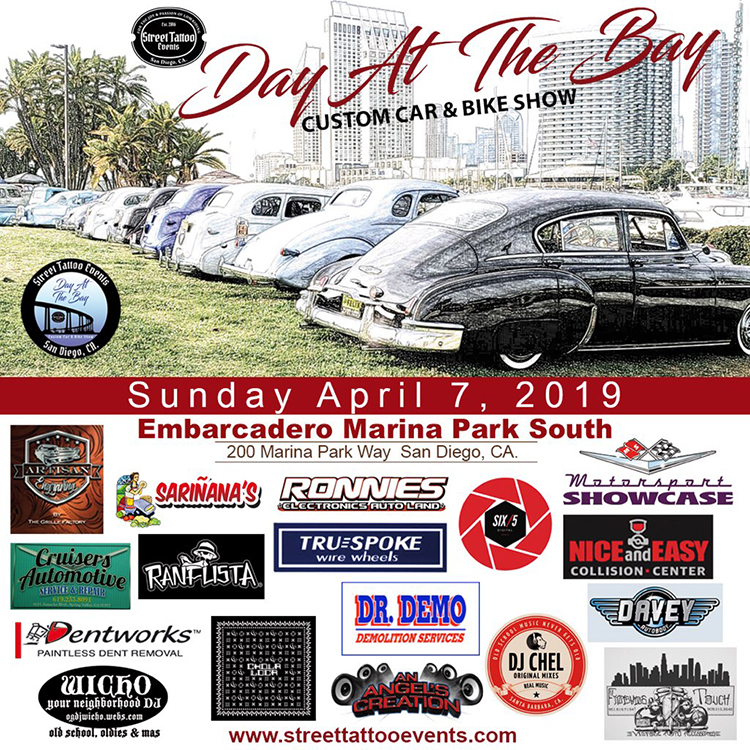 San Diego's premier custom car and cycle show. San Diego's premier custom car and cycle show. Last years event had over 680 lowrider cars and trucks, 150 motorcycles, as well as over 300 lowrider bikes, pedal cars, and custom strollers. The Day At The Bay show will have multiple award categories, music, food, and many vendors. This special family event is free to the public!